I've had a quick search but can't see any recent discussions. I'm in the market for a Fender, my first 'decent' guitar. 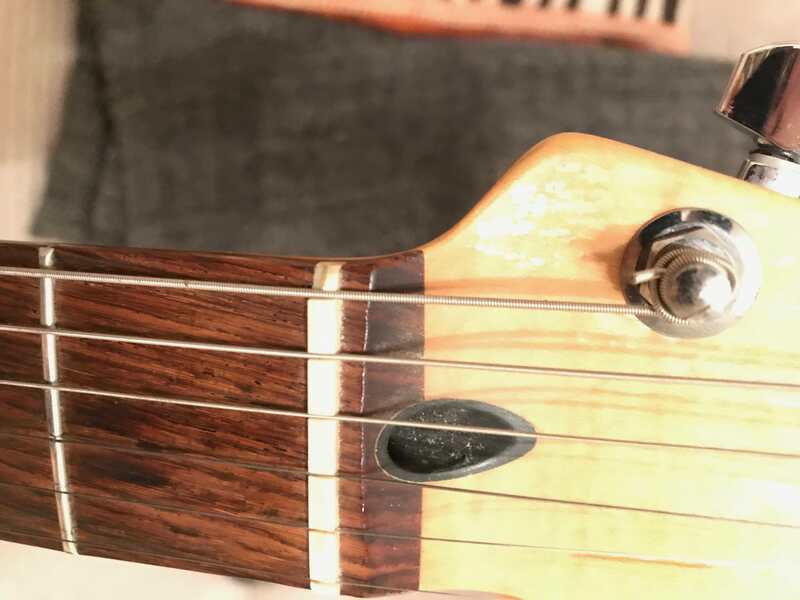 And after playing a Strat and a Tele today at the shop I felt like the Strat played more comfortably, even though i prefer the looks of the Tele. I've therefore now moved onto researching which version is best to get. I'm looking at the Player series as my budget, and i'm after a maple fretboard version. Looking on the Fender website my options are the traditional SSS, HSS or HSH. I've looked into comparisons between each but to be honest i'm still undecided on what's best for me. I'm a casual at home player and play mostly blues, a little bit of rock and the usual classic rock riffs. Has anyone got any experience of playing the Player series with the above setups, and might have any feedback on what they thought? I haven't played that series so can't comment on the tones you get from those particular pickups. However, in general terms I would say it depends whether it will be your only guitar or not. For the full classic Strat sound I'd go with the SSS configuration, as long as you have something else that can cover humbucker tones if your going for the more classic rock kinda sounds. SSS also just looks so 'right' IMO. But if it's to be your only guitar I'd go with SSH for sure. If I had to be forced to live with one guitar only forever more, I would choose a SSH Strat (or clone there-of). They're proper Swiss Army Knife guitars. It's a big field to cover with strats, given your musical tastes I'd stick with either the SSS or HSS configs. You'll be surprised how much girth good single coils can give you though and they will rip through more so than humbuckers. I would highly recommend the Fender Roadhouse series, which go for around the £600 - £700 mark. I've yet to sit down with the player series but I have had many a MIM series guitar which were all pretty fantastic. With the player series being an extension to the former MIM series many alterations have been made as has there been many improvements. I'd say head to your local store and find the one that just sits right with you. I've got a 'cheap' Vintage SG that's HH, so i certainly have the humbucker side of things covered. SSS sounds like the way to go in that case. I sat and played a SSS Player series, which was really slick and smooth along the fretboard, and played amazingly. But then i only have a cheap guitar to compare it to. Maybe i ought to go and sit and play a Player series Vs the Roadhouse series, or other £600-£700 strats to work out which series to go for now then. It's something I've put a lot of thought in to and for me the very definitive answer is that SSS Strat and a separate HH guitar is the best combination and if you don't have a separate HH guitar (that you're as happy to play daily) then an HSS Strat is the best solution. I.e. 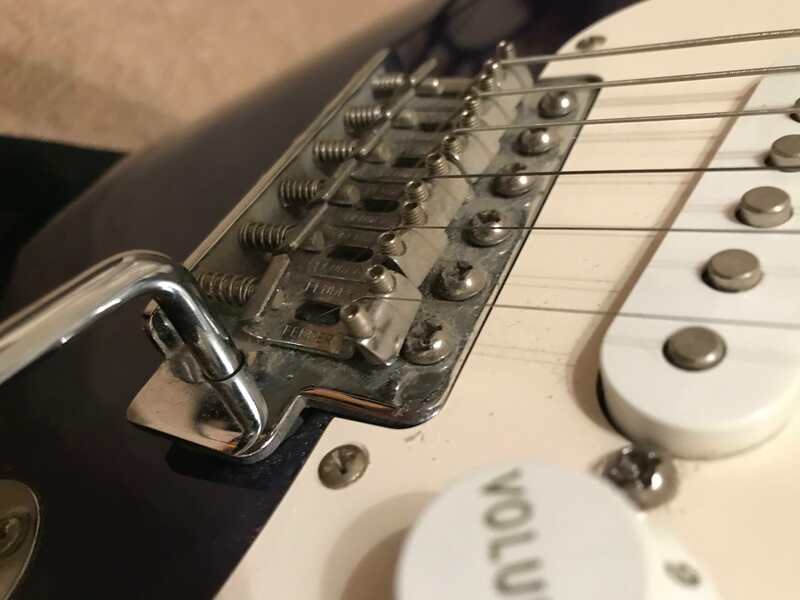 It's worth giving up the Strat bridge if it's the only way to get the (imo essential) humbucker bridge but the Strat bridge is very good to have if you don't have to compromise. In that price bracket I would consider a used Made in Japan strat or possibly a new classic series 50s or 60s strat. If you bought used and you want both a £700 budget would probably get you one of each. 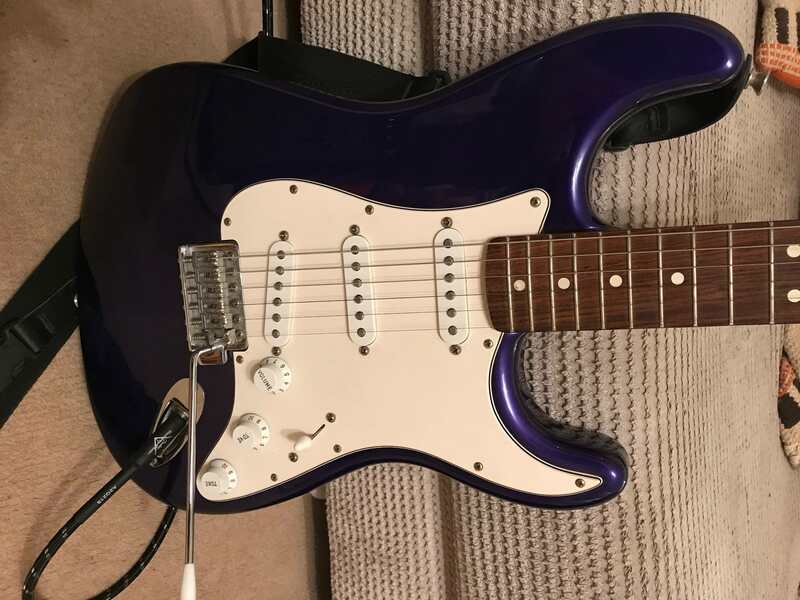 For example there is a G&L Bluesboy tele on here for sale (if its still for sale) for £350 and you could get a reasonable used mexican strat with the resr. You both make interesting points. I don’t mind playing my HH guitar, which is a Vintage VS6, but it’s a budget guitar and plays like one really. But then I’m not going to be doing any gigging or anything like that, so maybe my HH being a budget guitar isn’t the end of the world. the classic series has a thicker neck though don’t they? The Classic Series aren't massively thicker, just a different profile so it will feel different in the hand. The most noticeable difference will be the vintage 7.25" radius fretboard with the vintage skinny frets. Neither is 'better' per se, just depends what you prefer, so definitely worth trying both back-to-back. If you're settled on SSS I would definitely try and track down a used Classic Player 50s or 60s Strat (not the Classic Series). Should easily be able to get a good one in your budget range, and they're the best bang for buck in the entire Fender range IMO. Mine felt as good as USA Standard, and had Custom Shop pickups, all for less than £500! 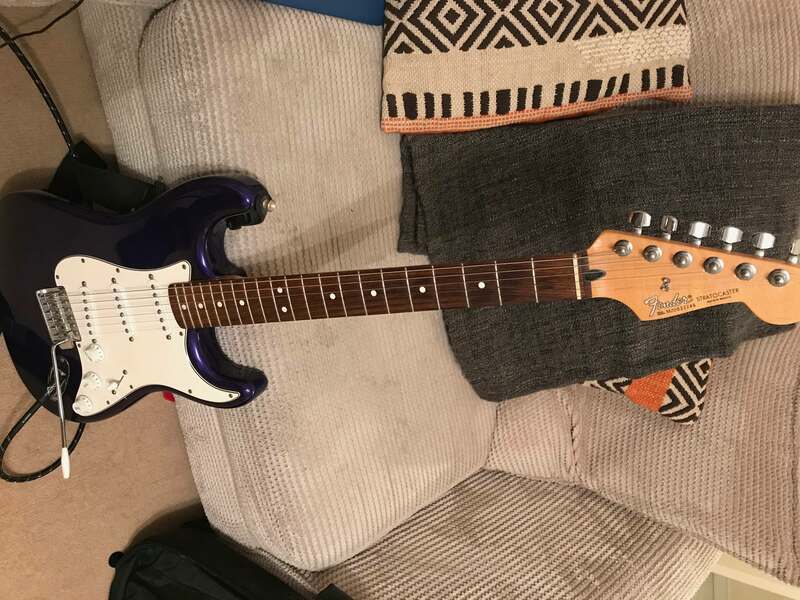 Shameless plug - I’m selling a decent all rounder strat with a slug of rock orientation for not a lot of money. 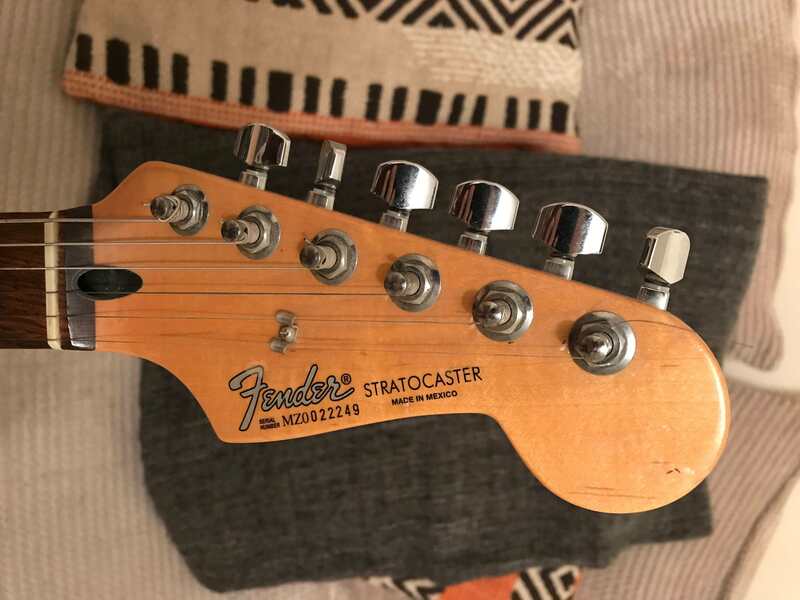 Its not a purists strat but it does a lot and plays very well, and is somewhat uncommon and definitely well used. Comes with spare pickguard and unique control set up which was useful to me but YMMV. Very useful info thank you all. I’ll have to pop back to the shop and see if they’ve got a Classic player I could try and see if I can compare it to the new player series. Its given more scope to search so that’s definitely helpful. I’ll jeeo an eye out for a classic player with maple fretboard. So I maybe got a little hasty and caught up in what I hope was a reasonable deal locally for a cheap Fender. So I can at least get a flavour for the stray at a fraction of the cost as suggested. Saving a good £300+ for possibly a HSS or a HSH. For the princely sum of £225 I bought a Made in Mexico standard(?) from around 2000. Not the colour I wanted or the maple fretboard l, but SSS, 2 minutes up the road, with a Fender Bullet Reverb amp thrown in. Upon closer inspection once home it probably isn’t in as good condition as when I checked it over, with the top e string saddle a little wonky and more pressingly the nut around the bottom E string being fairly badly chipped. So I’ll need to get those sorted. But the way I’m looking st it is that I’ve saved myself £300 what I may have spent on a brand new Player series. And hopefully I could sell this on and break even if I have to. Fingers crossed I didn’t over spent too much. As promised. The serial number doesn't get a hit on Fen der's website. Not sure if that bodes well. There’s nothing wrong with sss on a strat for the music you want to play. You might end up swapping the bridge for something slightly overwound but it’ll get you most of the way there if you do. Conversely I loved the pickups in the 50's (bridge could be beefier but neck is strat nirvana) but couldn't get on with the V neck, I also like 7.25 radius necks so for me a classic series would be better. Thanks very much all. Does anyone know what series the above pictures suggest? Looking online and trying to do some search suggests that it may be an early Standard or Classic, but i'm not really sure.